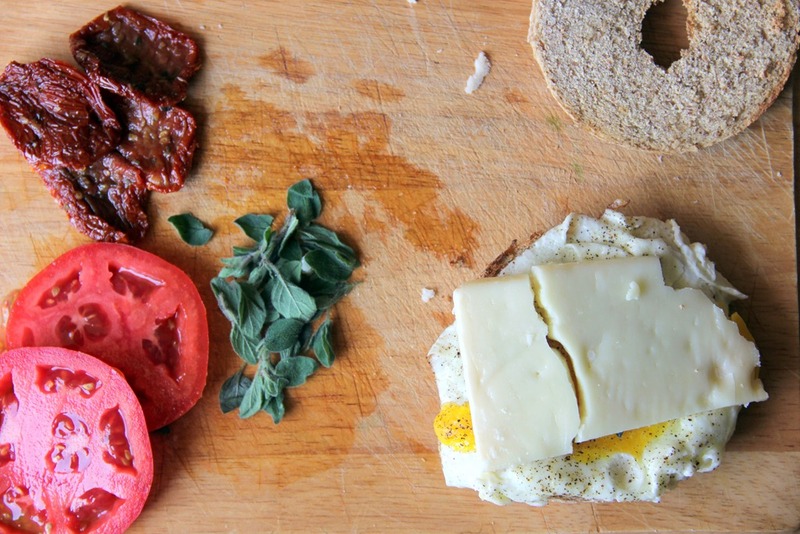 Rethinking breakfast, one egg at a time. 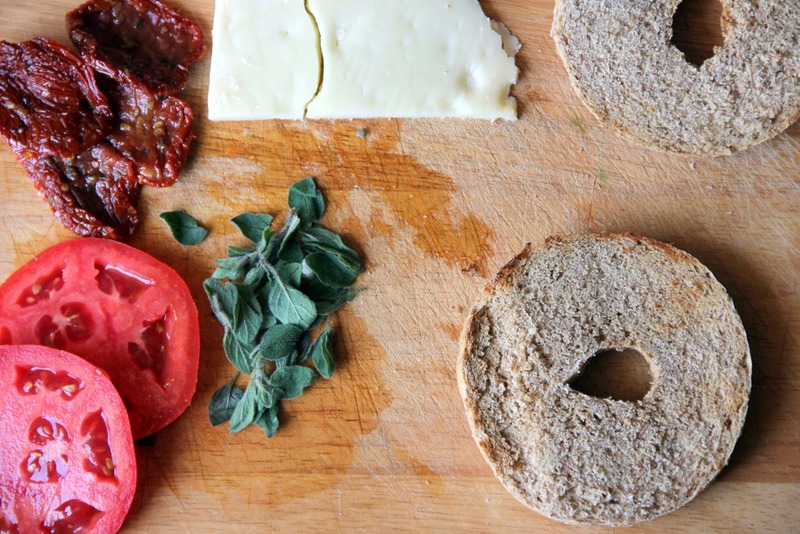 Pizza for breakfast. 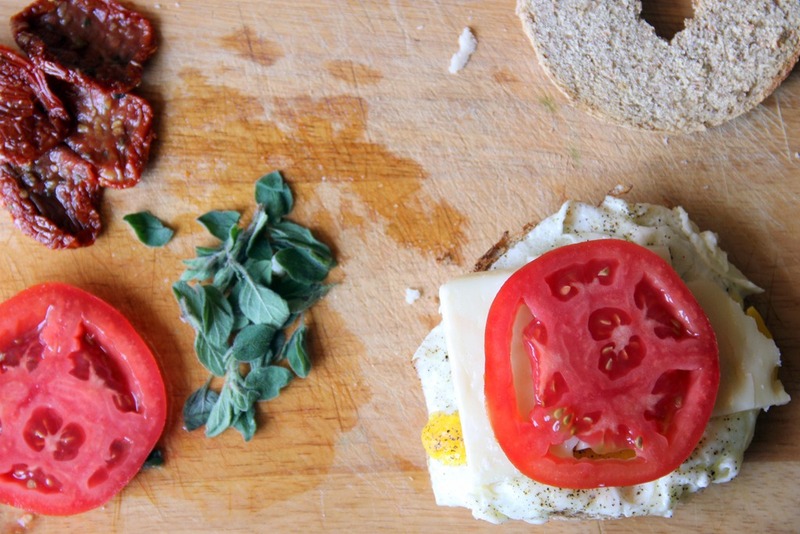 We’ve all been there, but this time it doesn’t involve you shamelessly munching on the cold leftovers from last night’s dinner. 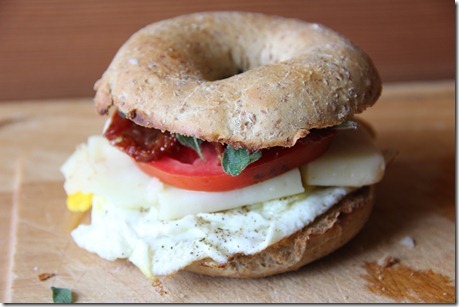 Instead, it’s a fried egg, cheese and tomatoes served over a whole-grain toasted bagel. The whole-grain bagel provides you with the fiber your body craves in the a.m. and the protein-packed egg and cheese are sure to keep you fuller for longer, all the while offering the comfort of a flavor combination you know all too well. 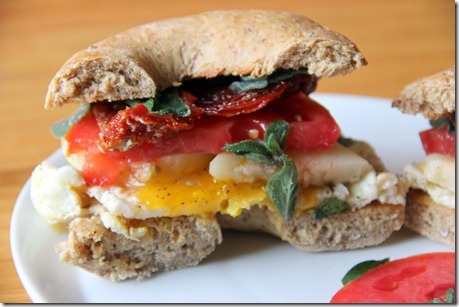 Sometimes a savory breakfast fits the bill and this recipe takes pizza and gives it a morning makeover. 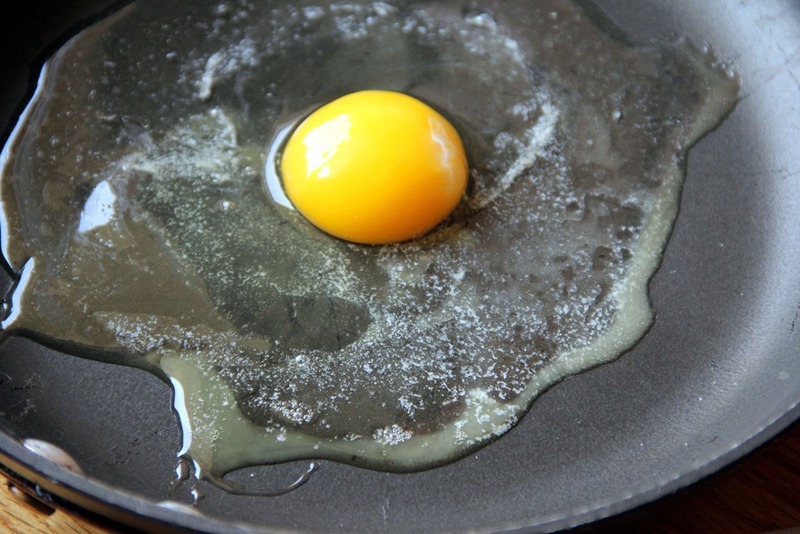 In a saucepan over high heat, add the butter. When melted, crack open the egg into the saucepan and let cook. 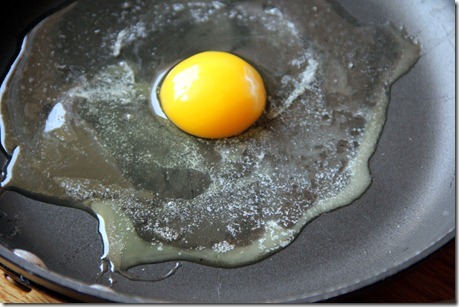 Pull in the edges of the egg white as it cooks and break open the yoke slightly with a spatula to help it cook through. 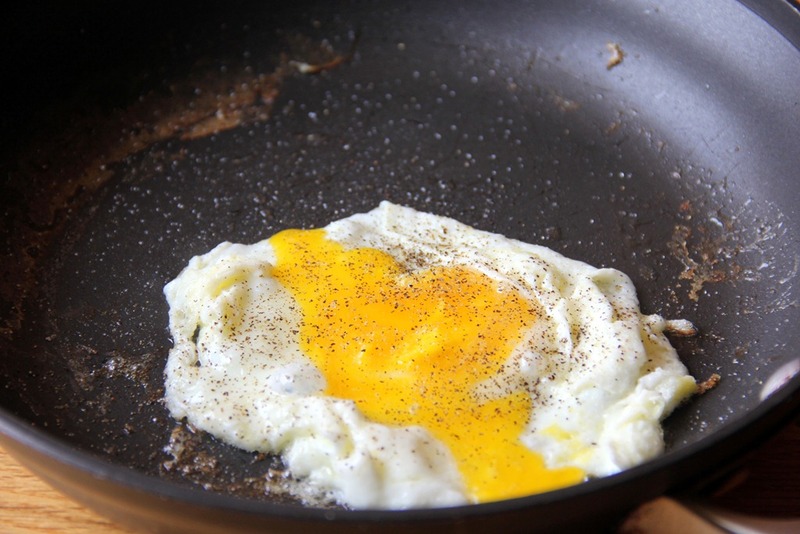 When the egg is cooked through, but still soft on top, season with salt and pepper and remove the saucepan from the stove and set aside. 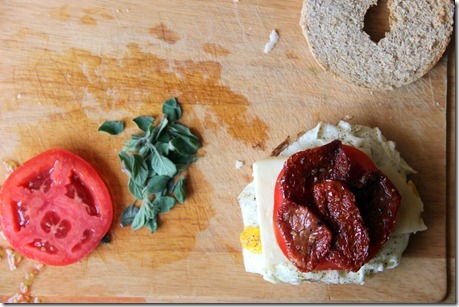 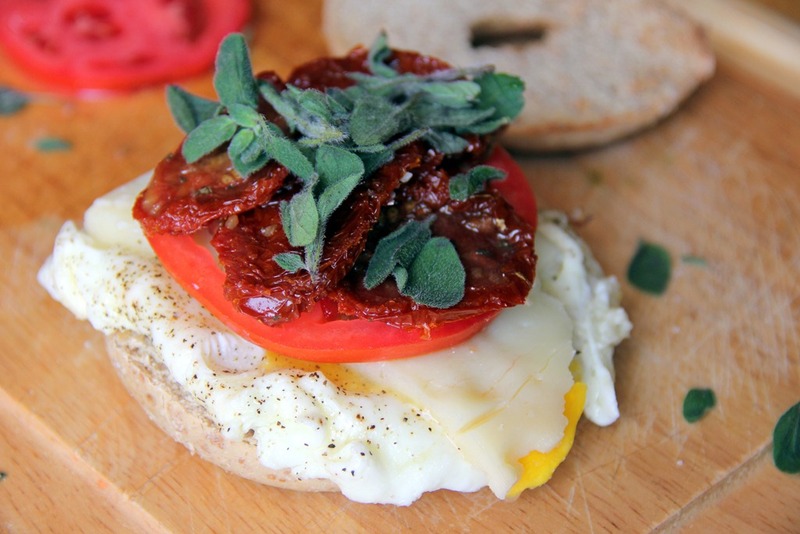 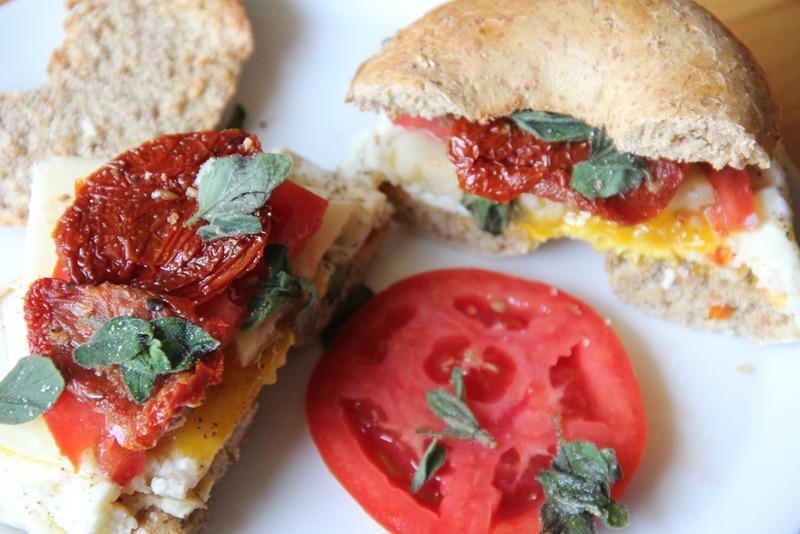 Over a toasted sliced bagel half, begin to add the fillings – the fried egg, then the cheese, tomato slice, sun-dried tomatoes, and fresh oregano. 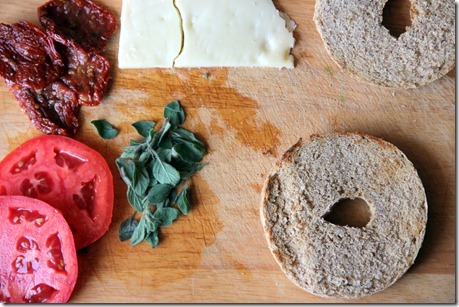 Cover the sandwich with the other half of the bagel and slice along the middle before serving.